Oh What A Beautiful Mess...: I'm back take two! Monday morning I am now on my second cup of tea its cold and gloomy again, and I listening to Christmas music as I work and write. I don't know what it is about gloomy days that allows me to sit down and write. I remind my self at least ten times a day to sit and write but I get distracted by other stuff and well you know the rest. I am happy to report Thanksgiving was a success, I cooked way too much food and we ate ham for about two weeks. I had to get very creative but it worked out and now I need to start figuring out our Christmas menu. Speaking of Christmas I had Mikey pull out what was left of my decorations, sadly I lost most of them during the move. I decided no tree this year because I don't feel like shopping for new ornaments, but I did make a few DYI decorations. 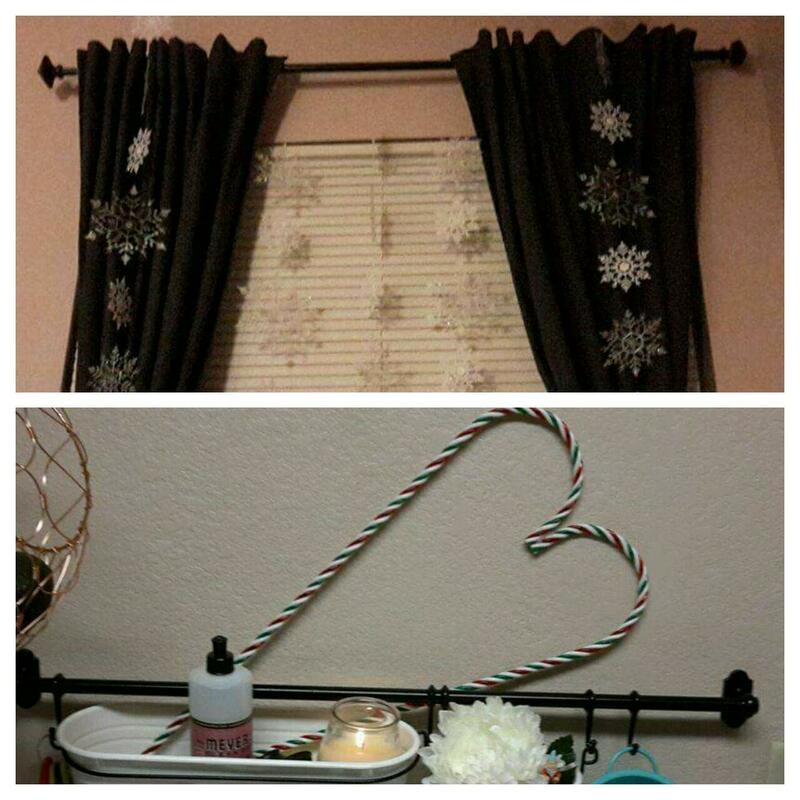 I made some candy cane hearts and some hanging snowflakes for my room. If found a bunch of different size and color snow flakes at the dollar store so I took my hot glue gun and clear fish string and glued the back of the snowflakes to the string and voila!! For the candy canes I just glued them together to make hearts and I have one in the kitchen and one hanging in my office. Today I will attempt to make a pine cone wreath. 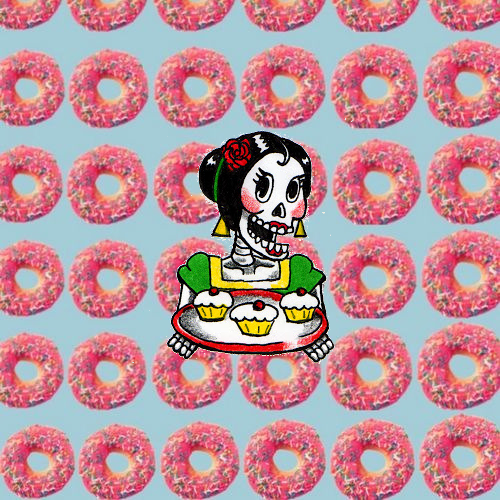 I really like making my own decorations! Crafting makes me happy! As for my life style changes last week I was doing so well eating better going to the gym and then bam I caught a cold. Not a bad one but I felt too horrible to do anything, I just started to feel human again over the weekend. So ofcourse I spent most of my weekend cleaning the apartment after binge watching The Super and Hoarders. How people can live like that is beyond me. Everyone falls on hard times but that shouldn't get in the way of cleaning. You don't even need fancy cleaning supplies the dollar store has plenty of things that get the job done just as well. Okay that's enough ranting for one day, time for lunch. Left over beef fajitas,beans and rice...YUMMY!